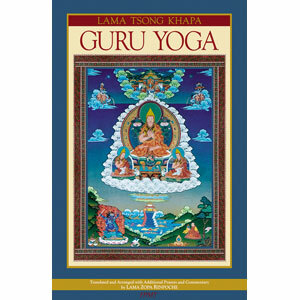 Lama Tsongkhapa Guru Yoga is a particularly powerful practice for receiving the blessings of one's personal teacher and developing the realization of guru devotion. Also known as the Hundred Deities of Tushita (Ganden Lha Gyama), it is a seven-limb practice related to Lama Tsongkhapa, a great Tibetan scholar, saint, and yogi of the 14th century. 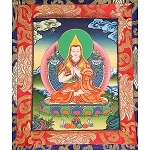 To supplement and complete this short text, Lama Zopa Rinpoche has added a preliminary practice of the “Four Immeasurable Thoughts,” the lamrim prayer “Foundation of All Good Qualities” by Lama Tsongkhapa, and two visualizations to do while reciting the “Five-Line Migtsema Prayer to Lama Tsongkhapa,” one for purifying negative karmas and one for achieving seven special types of wisdom. 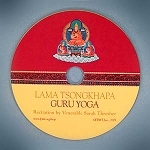 The appendices consist of short teachings by Lama Zopa Rinpoche on how to do extensive meditations on making offerings, confessing, and rejoicing. A suitable practice text for the preliminary practice of collecting 100,000 recitations of the Migtsema prayer. 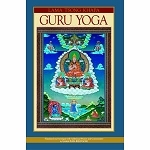 Translated by Lama Zopa Rinpoche. English translation with Tibetan phonetics.